The Earth is an ocean world. From space, this fact is obvious, whether the planet appears as a bluish dust mote at the edge of the solar system, a bright sapphire star from our planetary neighbors, or the blue marble we see in orbit. Our oceans are the lifeblood of Earth and are home to tens of thousands of fascinating species. They cover 72 percent of the planet, contain over 97 percent of its water, and produce half the oxygen we breathe in. But perhaps all this is a little too easy to forget for us land-dwellers. Like many other ecosystems, the oceans are threatened by various human activities like over-fishing, global warming, acidification, and above all, pollution. Tons of plastic—such as grocery bags, food containers, bottles, and other disposable products—flow into the ocean daily from big cities. The good news is, there’s room for hope. While our species is capable of disappointing actions, we are also capable of innovative progress. Here are some organizations and teams that are coming to the rescue by cleaning up the oceans. Backed with $30 million in funding and led by 22-year-old Boyan Slat, this foundation’s ingenious solution is based on the understanding that ocean currents tend to concentrate plastic into oceanic garbage patches. Their technology corrals floating plastic in these ocean currents with U-shaped screens, in which it’s trapped and shipped away to be recycled. They estimate they can clean up to 50 percent of the Great Pacific Garbage Patch in less than 5 years. The company recently announced a lease agreement for part of the former Alameda Naval Air Station, where assembly of the first cleanup system will begin. The Seabin Project is installing floating rubbish bins (with a pump and filtration center) at harbors, marinas, and other major hotspots, cleaning up garbage and oil floating in the water. 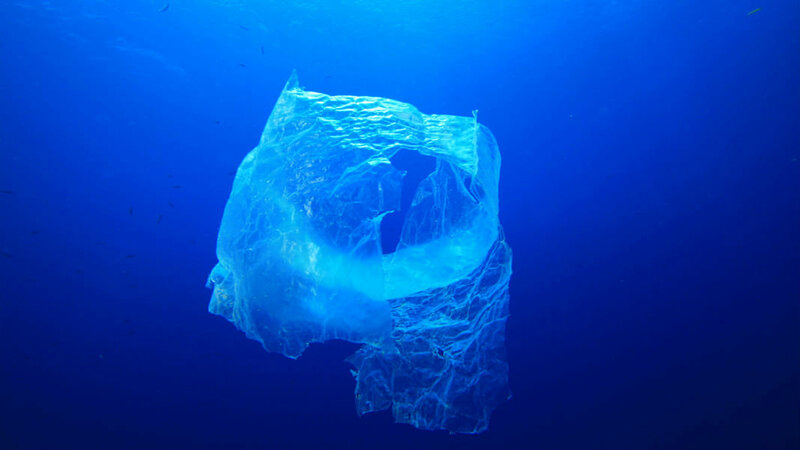 These hotspots are considered some of the major sources of ocean littering. On average, an individual Seabin catches around 3.3 pounds (1.5 kilograms) per day, which is about a half a ton of debris a year. With the simple mission to rid the planet’s oceans of pollution, the Seabin Project recognizes that ultimately, like many other problems in the world, the ultimate solution to ocean pollution lies with education and systemic change. Consequently, the organization has developed an open-source education program for schools to learn more about the oceanic littering problem and the solutions available. They are also actively involved in industry participation, legislation, and lobbying. Current recycling technology has limited capabilities, which leads to most of our “recycled” trash ending up in landfills or in the ocean. While many organizations are invested in cleaning and recycling plastic waste, some are focused on preventing their flow to the ocean to begin with. 5 Gyres Institute researches plastic pollution in all five main subtropical gyres, and their study identifying plastic microbeads influenced President Obama’s signing of the Microbead-Free Waters Act. Traditionally, bottles made from PET (polyethylene terephthalate) have been recyclable, but many other plastics come from nonrenewable petroleum-based sources. In fact, some bottles may only have 30 percent recyclable materials. Backed by $80 million, Origin Materials (formerly Micromidas) plans to manufacture plastic bottles from completely renewable biomass materials, such as sawdust and cardboard. The company has produced bottles with up to 80 percent renewable materials at a pilot plant and is aiming to produce 100 percent bio-based bottles at commercial scale in the coming years. What each of these companies has done is take a daunting global challenge and turn it into an opportunity for disruptive innovation and human progress. After all, as Peter Diamandis points out, “The world’s biggest problems are the world’s biggest business opportunities.” While ocean waste is definitely a problem, it is also an opportunity for innovative problem-solving. These projects also represent how one global challenge can have many layers of solutions, taken from different angles by different stakeholders, such as startups, nonprofits, and activist groups. Like many of the threats that face us, they demonstrate how true progress comes not just from leveraging exponential technologies, but also from collaboration, education, and systemic legislative change.